ABSTRACT: Nystatin is bacterial originated polyene antifungal agent. The aim of the study is to develop the niosomal nystatin gel for transdermal administration. Formulations were developed using thin film hydration technique. Developed formulations were characterized for particle size, shape, % entrapment efficiency, in vitro drug release, etc. After analyzing the results, best formulation is optimized and its zeta potential, stability was determined. Niosomal gel was prepared with optimized formulation using carbopol as gelling agent. In vitro drug release from formulated niosomal gel and marketed preparation was carried out. The niosomes appeared spherical in shape and the size range of niosomes in all formulations was found to be 278±1.4 to 431±1.2nm. Highest and least % entrapment was shown by FN3 (72.5±1.9) and FN5 (51.2±2.2) respectively. In vitro drug release of all formulations was carried out using exhaustive dialysis method. FN3 formulation was selected as an optimized formulation because of its good entrapment efficiency and drug release pattern. In vitro & Ex vivo drug release studies of niosomal gel and marketed formulation shown that niosomal gel sustains the drug release than the marketed gel. INTRODUCTION: Nystatin is bacterial originated polyene antifungal agent. Many molds and yeast infections, including candida, are sensitive to nystatin. Cutaneous, vaginal, mucosal and esophageal Candida infections usually respond well to treatment with nystatin 1. Cryptococcus is also sensitive to nystatin. Oftenly, it is used as prophylaxis in patients who are at risk for fungal infections, such as AIDS with a low CD4+ count and patients receiving chemotherapy 2. Though it has got significant value in the treatment of fungal infections, its importance is decreasing because it’s minimal absorption through mucocutaneous membranes such as the gut and the skin and also its toxic profile 3. Commercially nystatin oral and topical dosage forms are available. But its oral bioavailability is almost nil 4. A high dose of nystatin is required to produce the desired therapeutic effect [the doses varying from 100,000 (for oral infections) to 1 million (for intestinal ones)]. This encourages the researchers to develop new formulations to administer the drug (nystatin) through the skin to enhance the bioavailability of the nystatin. Researchers attempted to develop liposomal nystatin topical preparations to enhance the bioavailability of nystatin. But, literature revealed that the liposomal formulations are unable to penetrate deeper layers of the skin and are incapable to produce systemic effect 5. Literature also revealed that the liposomal formulations are less stable and require more attentiveness for manufacturing 6. This initiated the authors to develop the niosomal nystatin formulation, to achieve high bioavailability with fewer doses and with less stability problems. Materials: Nystatin obtained as gift sample from Kremoint Pharma Pvt. Ltd, Thane, Maharastra. Cholesterol, Spans purchased from Loba chemicals. All used solvents are HPLC grade. Method: Niosomal suspensions were prepared by the thin-film hydration method7. Accurately weighed quantities of drug, surfactant (Span – 60 & Span - 80), and Cholesterol were dissolved in chloroform in a round-bottom flask. The chloroform was evaporated at 60°C under reduced pressure using a rotary flash evaporator (Buchi type). After chloroform evaporation, the flask was kept under vacuum overnight to remove residual solvent. The thin film was hydrated with 10 ml of phosphate buffer (PBS), pH 7.4, and the flask was kept rotating at 60°C. Formulations were sonicated three times in a bath-sonicator for 15 min with 5-min interval between successive times. Composition of all formulations was tabulated in table 1. Vesicle Morphology 8: The prepared niosomal formulations were characterized for their morphology using Scanning Electron Microscopy (SEM). The SEM photographs are given Fig. 1. The prepared niosomal suspension was diluted to suitable extent with phosphate buffer and a drop of diluted niosomal suspension was placed on a glass slide and the average size of vesicles was measured using optical microscope. The results were tabulated in table 2. Entrapment Efficiency 9: Entrapment efficiency of niosomal formulations was determined by separating the unentrapped drug. Un-entrapped drug was separated by ultracentrifugation method. Centrifugation of suitably diluted niosomal suspension was carried out at 12000rpm for 20min. The supernatant liquid was analyzed for un-entrapped drug by UV spectrophotometer (PG instruments) at 306nm. The results were confirmed with dialysis method. The results were tabulated in table 2. In vitro Release Studies 10: In vitro release studies of niosomal suspensions were performed using exhaustive dialysis method and the results were tabulated in table 3. Two side open ended glass tube was taken and one side has been closed with semi permeable membrane (Dialysis membrane,M. Wt cut off: 12000). The fabricated tube was used as donor compartment, in which 1ml of suspension was taken and placed in receptor compartment containing 100 ml phosphate buffer. The dialysis was carried out at 50 rpm at 37±0.5°C for 8hrs. Every hour 2ml of sample was withdrawn and same volume of fresh sample was replaced to maintain sinc conditions. The samples were suitably diluted and analyzed using UV spectrophotometer at 306nm. The results were shown graphically in fig. 2 and 3. Kinetics of Drug Release 11: The mechanism of nystatin release from niosomal formulations was determined using the following mathematical models: zero-order kinetics (cumulative % release vs time), first-order kinetics (log % drug remaining vs time), Higuchi kinetics (cumulative % drug release vs. square root of time), Korsmeyer - Peppas (log cumulative % drug release vs log time) and Hixson-Crowel models (cubic root of drug remaining vs time). The r2 and n values are calculated for the linear curves obtained by regression analysis of the above plots. The results tabulated in table 4. Zeta potential 12: Zeta potential of the optimized formulation was measured by instrument zetasizer nano ZS using DTS software (Malvern Instrument Limited, UK) using M3-PALS technology. Stability Studies 13: In the present study, the stability of the vesicles was determined by slightly modifying procedure given by Solanki et al. Optimized formulation preserved at refrigerated temperature (4-8±1°C) and room temperature (25±2°C) for 30days. After 30days, shape, size and % entrapment efficiency of vesicles were measured. The results were compared with the initial size, shape and % entrapment efficiency of both samples and are tabulated in table 5. Comparison of Drug Release with Marketed preparation 14: Nystatin niosomal gel having concentration of 0.5% w/w was prepared using optimized formulation in carbopol-971 (gelling agent). Ex vivo release studies of niosomal gel and marketed preparation was carried out in an artificial diffusion cell and the results were tabulated in table 6. Two side open ended glass tube was taken and one side has been closed with rat abdominal skin (semi permeable membrane). The fabricated tube was used as donor compartment, in which 1g of gel was taken and placed in receptor compartment containing 100 ml phosphate buffer pH 7.4. The diffusion was carried out at 50 rpm at 37°C for 8hrs. Every hour 2ml of sample was withdrawn and same volume of fresh sample was replaced to maintain sink conditions. The samples were analyzed using UV spectrophotometer at 306nm.The results were presented graphically in fig. 4. Statistical analysis 15: Ex vivo release data obtained from experiment was subjected to statistical analysis using software GraphPad InStat. Statistical significance was checked by Students t-test and calculated p- value. A confidence limit of p<0.05 was fixed for interpretation of the results. RESULTS AND DISCUSSION: The niosomes appeared spherical in shape and are found to vary in size. The average vesicle size was determined by using optical microscope. The average size of niosomes was found in the range of 278±1.4 to 431±1.2nm. 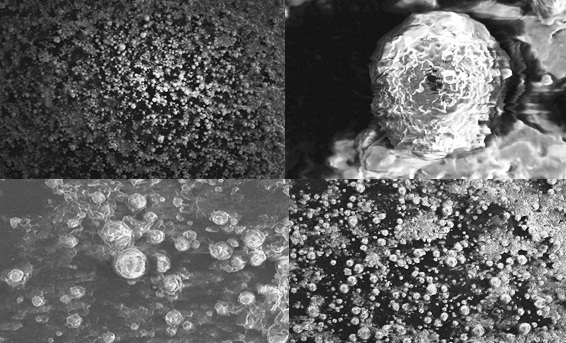 The size of vesicles is decreased with increase in the concentration of surfactant. This may due to decrease in surface tension with increase in the concentration of surfactant. Entrapment efficiency of formulations was determined by dialysis method and centrifugation method. Both the methods have shown nearly similar entrapment efficiency. The results showed that the percentage entrapment efficiency increased with increase in surfactant concentration. Entrapment efficiency is more in case of span-60 niosomes rather than the niosomes prepared using span-80. This may be due to that the Span-80 has the lowest transition temperature (Tc = -12ºC) and span-60 has high transition temperature (Tc =53ºC). In vitro diffusion studies of all formulations were carried out in fabricated diffusion cell. From the results shown in Table 3, one can conclude that the drug release from niosomes decreases with increase in the concentration of surfactant and also from the data we shall conclude that niosomal formulations prepared using Span 60 yielded a lower rate of drug release compared to Span 80 niosomes, and this is in accordance with a previous study done by Ruckmani et al. (2000)16. This can be explained by the fact that niosomes exhibit an alkyl chain length-dependent release. The higher the chain length, the lower the release rate (Devaraj et al., 2002) 17. The nystatin release from FN4 formulation is highly sustained than that of other niosomal preparations. Table 4 shows that all formulations follow zero-order kinetics as they exhibited highest r2 values than the first order kinetics. Calculation of Higuchi’s correlation coefficient confirms that drug release was proportional to the square root of time indicating that nystatin release from niosomes was diffusion controlled. The n value from the Korsemeyer-Peppas model for nystatin niosomal formulation was between 0.113 and 0.140 which confirms the Fickian type diffusion. Release profiles fitted into a Hixson-Crowell model further confirmed that drug release from niosomes followed Fickian type diffusion. 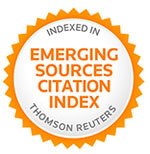 Similar results were obtained by Arica et al., (1995)18, A.S. Guinedi et al., (2005) 19. Further analyzing the release data of all formulations, one can conclude FN3 formulation is the best formulation as it has shown highest r2 value (0.999) for zero order. This states that FN3 formulation is best among all. By considering the vesicle size, entrapment efficiency and release pattern, authors considered FN3 as the best formulation and its zetapotential was measured as it influences on the physical stability of formulation. Its zeta potential was measured as -25mV. Thevalue showed that the vesicles have sufficient charge to repel each other and prevents the aggregation there by avoids the physical instability. Stability study of optimized formulation was carried out by exposing it to refrigerate and room (elevated) temperatures for one month. After one month, shape, size and % entrapment efficiency of niosomes were compared with the initial size, shape and % entrapment efficiency. Shape of the niosomes in both samples was not changed whereas change was observed with size and % entrapment efficiency. The variation in size and % entrapment efficiency is more in niosomes prepared using span-80 than that of the niosomes prepared using span-60. This variation is more in sample which was stored at room temperature than the sample stored at refrigerated temperature. Ex vivo drug diffusion of niosomal gel and marketed preparation was carried out in a fabricated diffusion cell. The drug release from niosomal gel is comparatively slow than the drug release from marketed preparation. This states that niosomal preparation sustains the drug release than the conventional preparation. The present work revealed that the niosomes are useful carriers for sustained drug delivery through the skin. The drug release from niosomes against conventional gel was significantly comparable (p<0.003) and to achieve sustained drug delivery. CONCLUSION: The results emphasizing that niosomal delivery is one of the useful techniques for achieving the sustained drug delivery and thereby enhancing the bioavailability of nystatin. Packiaraj Jeyachandran Manohari, Pakkir Mohamed Sheik Allavudin and Janakiraman Kunchithapatham: Formulation and Evaluation of Nystatin Vaginal Insert, USP 100,000 UNITS. JITPS 2012; 3(1): 24-38. Amarnath Sharma and Uma S. Sharma: Liposomes in drug delivery: progress and limitations. 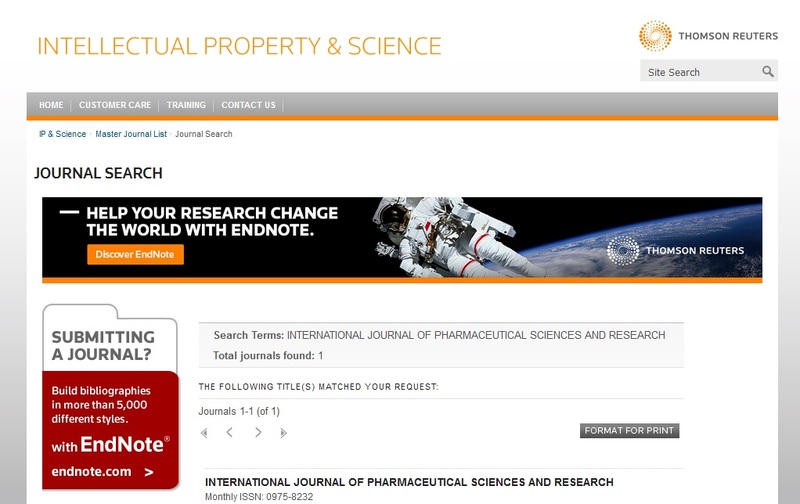 International Journal of Pharmaceutics 1997; 154:123 - 140. Azmin MN, Florence AT, Handjani-Vila RM, Stuart JFB, Vanlerberghe G and Whittaker JS: The effect of non-ionic surfactant vesicle (niosome) entrapment on the absorption and distribution of methotrexate in mice. Journal of Pharmacy and Pharmacology 1985; 37: 237–242. Ebtessam A Essa: Effect of formulation and processing variables on the particle size of sorbitan monopalmitate niosomes. Asian J Pharm 2010; 4 (4): 227-233. Prabagar Balakrishnan, Srinivasan Shanmugam, Won Seok Lee, Won Mo Lee, Jong Oh Kim et al: Formulation and in vitro assessment of minoxidil niosomes for enhanced skin delivery. Int Jr Pharm 2009; 377(1–2): 1-8. Kandasamy Ruckmani and Veintramuthu Sankar: Formulation and Optimization of Zidovudine Niosomes. AAPS PharmSciTech, 2010; 11(3): 1119-1127. Tamizharasi S, Dubey A, Rathi V and Rathi JC: Development and characterization of niosomal drug delivery of gliclazide. J Young Pharmacist 2009; 1 (3): 205-209. Marco Bragagni, Natascia Mennini, Carla Ghelardini and Paola: Development and Characterization of Niosomal Formulations of Doxorubicin Aimed at Brain Targeting. J Pharm Pharmaceut Sci 2012; 15(1): 184 – 196. Abdul Hasan Sathali A and Rajalakshmi G: Evaluation of Transdermal Targeted Niosomal Drug Delivery of Terbinafine Hydrochloride. Int.J. PharmTech Res 2010; 2(3): 2081-2089. Ajay B. Solanki, Jolly R. Parikh, Rajesh H. Parikh and Mrunali R. Patel: Evaluation of different compositions of niosomes to optimize aceclofenac transdermal delivery. Asian Journal of Pharmaceutical Sciences 2010; 5 (3): 87-95. Ruckmani K, Jayakar B and Ghosal S K: Nonionic surfactant vesicles (niosomes) of cytarabine hydrochloride for effective treatment of leukemias: encapsulation, storage, and in vitro release. Drug Dev Ind Pharm 2000; 26: 217-222. Devaraj GN, Parakh SR, Devraj R, Apte SS, Rao BR and Rambhau D: Release studies on niosomes containing fatty alcohols as bilayer stabilizers instead of cholesterol. J. Colloid Interface Sci 2002; 251: 360–365. Ahmed S Guinedi, Nahed D Mortada and Mansour S: Preparation and evalution of reverse-phase evaporation and multilamellar niosomes as ophthalmic carriers of Acetazolamide. Int. J. Pharm 2005;306:71-82. Srikanth K, Gupta VRM and Devanna N: Formulation and evaluation of Nystatin loaded Niosomes. Int J Pharm Sci Res 2013; 4(5); 2015-2020.